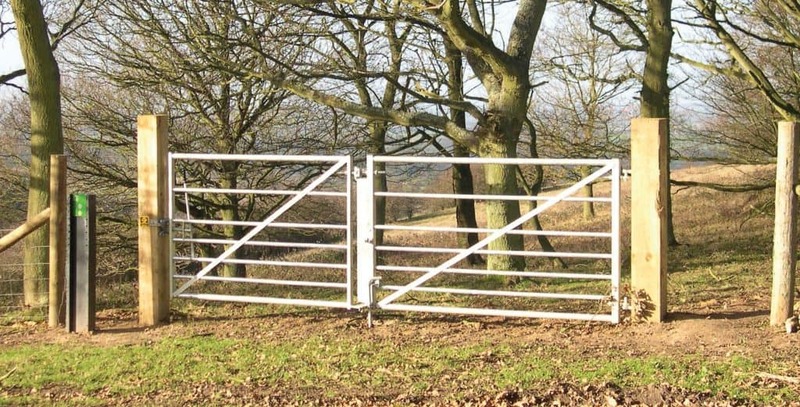 Both pedestrian and bridle gate handles are provided. They are interchangeable. A heavy-duty version is available if required (STIRLING) add 10% to prices. 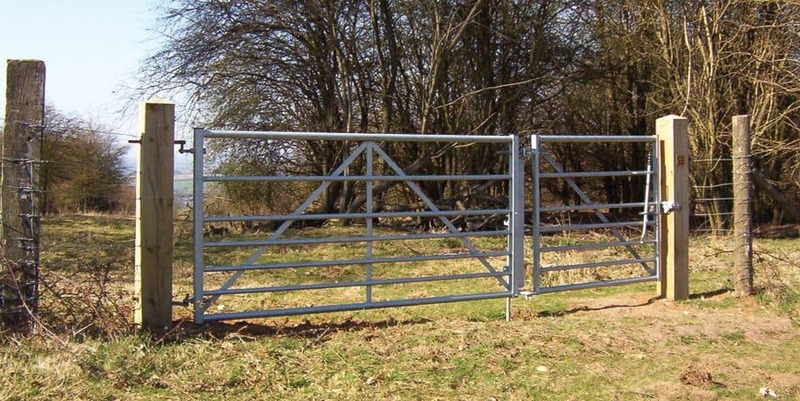 Galvanised tubular steel field gate in two sections. The main section can be locked with a heavy duty drop bolt to prevent unwanted vehicle access while the section allowing public access is free to open. The complete gate as one unit will open as required. Field gate installed height 1.2m. Overall width of main section includes the width of the public access section also. Width of public access section 1.525m. This design has been developed from the highly successful BRISTOL TWO IN ONE gate where access for all is required. The public access gate can be one way or two way opening and is self closing.